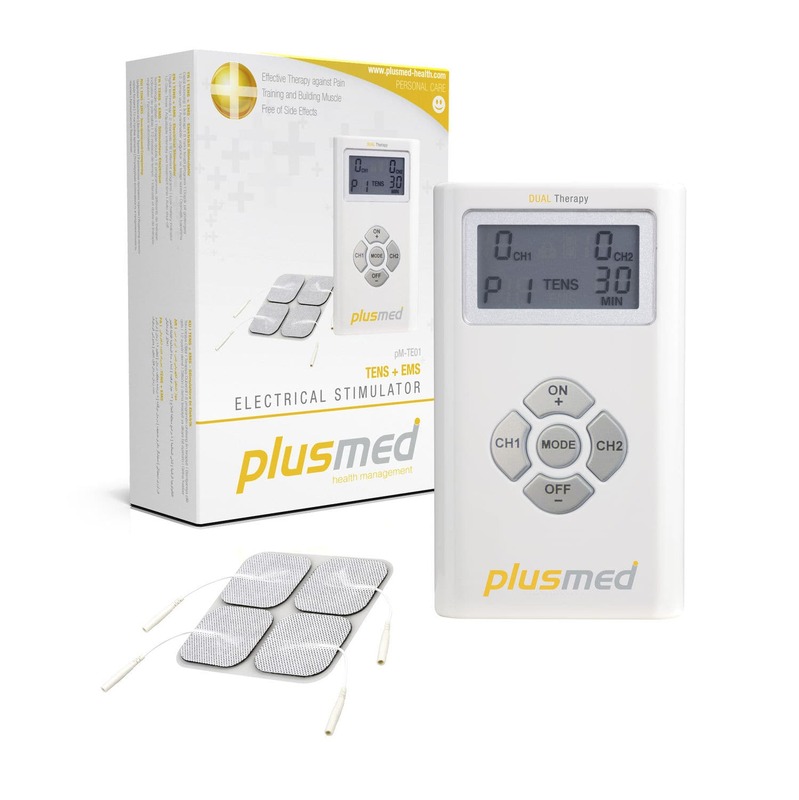 Plusmed TENS+EMS Dual Theraphy System is a dual channel digital TENS/NMES electrical stimulator for active treatment application. Transcutaneous Electrical Nerve Stimulator (TENS) can be used for symptomatic relief of chronic intractable pain. Neuromuscular electrical stimulation (NMES) can be used for relax muscle spasms, prevent or retard disuse atrophy, increase local blood circulation, re-educate muscles or maintain / increase the range of motion.